Getting your transmission fluid changed is one of those things many of us don’t think about regularly, and there seems to be very little information available on how often to change transmission fluid. Changing your engine oil is something most of us do because the last time we got it changed, the shop was nice enough to put a sticker on your windshield to remind you when to come back. Also, many modern vehicles have warning lights that come on when it’s time to change your engine oil or are even smart enough to write you a message on your vehicle’s information center to remind you it’s time to head to the mechanic. Since your vehicle won’t remind you when it’s time to change your transmission fluid, it’s important for you as the vehicle owner to stay up to date on when or at how many miles you need to change your transmission fluid. How often you should get your transmission fluid changed depends on a few different factors including the make and model of your car, the type of transmission it has installed, the type of driving you do and what sort of maintenance you do on your transmission. To understand why the time in between transmission fluid changes varies so much, you need to understand why you should change your transmission fluid in the first place. Like most fluids if your car, transmission fluid is what helps keep things lubricated and cool. It is important to note that unlike other systems in your car, transmission fluid is also used as a hydraulic fluid to move components and affect shifting in your car. It can be hard to pin down exactly what transmission fluid is because it serves so many purposes in a vehicle. What Does Transmission Fluid Do? Transmission fluid’s main purpose is helping your car’s transmission work at its optimal level. Besides being a lubricant, transmission fluid also helps your vehicle shift gears and cools the transmission. Since your transmission fluid is constantly being pumped, pressurized, moved and squeezed through small passages it can lose some of its ability to properly lubricate over time. As your transmission fluid travels through your transmission it will pick up tiny particles. These particles are worn off the gears, bands, clutches and shafts in your transmission as it operates and will travel around with the fluid. If too many of the particles get build up in the fluid they can cause excessive wear on components, especially seals and gaskets. To keep your transmission fluid safe and properly lubricated you need to trade out this dirty and worn out fluid often. What “often” is depends on the factors we mentioned earlier. The way you drive your car and the environment you drive it in will determine how quickly your transmission fluid wears out. Stop and go or city driving will increase the wear on your transmission fluid because your transmission has to shift more often at lower speeds. Also, higher temperatures can lead to accelerated transmission fluid degradation. Also, the type of transmission fluid your car uses will determine how often you need to have it changed. Some transmission fluids are designed to last 30,000 miles while others are designed to last up to 100,000 miles. To find out what type of transmission fluid your vehicle uses, check out this article about different types of transmission fluid. Lastly, how often you get your transmission fluid changed depends on whether you flush your entire system or just drain the pan. Your transmission may hold 15 to 20 quarts of fluid or more! If you simply drain the transmission fluid pan you will only change 3-5 quarts leaving lots of dirty fluid still in the system. This is an easier and less expensive way of changing your transmission fluid but will require more regular changes. The other option is to have a transmission fluid flush. Your mechanic will use a machine to exchange all the transmission fluid in your car with new clean transmission fluid. This is a more expensive option due to the extra fluid used and equipment it requires but will leave you with perfectly clean transmission fluid. Before you change your transmission fluid, it’s import to check the level and condition of the fluid in your vehicle. Checking the fluid level is important because once you’ve changed your transmission fluid, it is impossible to detect whether or not your transmission has a leak. If your fluid is full, but dirty, simply have your transmission fluid changed. If your transmission fluid is low and dirty, add BlueDevil Transmission Sealer along with your new fluid to seal the leak and make sure the new fluid you added doesn’t end up on the road. For more information about BlueDevil Transmission Sealer, click on the banner below. what about manual transmission.change when! 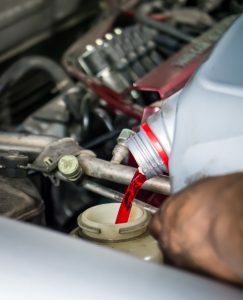 Please refer to the article we posted on this topic, https://gobdp.com/blog/often-transmission-fluid-changed/. 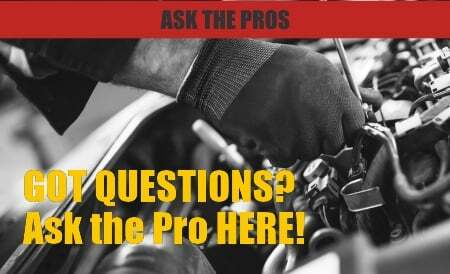 There are several factors to consider when it comes to changing your transmission fluid. Some transmission fluids are designed to last 30,000 miles while others are designed to last up to 100,000 miles. I have been noticing a puddle under my car lately, and I am wondering if there is a problem with my transmission fluid. It is good to know that to keep transmission fluid safe and properly lubricated, one needs to trade out the dirty and worn out fluid often. I did not know that the way you drive your car and the environment also played roles in how often this fluid needs to be replaced. I will mention this at my next auto service, thanks. Our cars, one of humans’ greatest inventions, are indeed complex machines. They are made up of different kinds and sizes of parts and components that all work together for your mobility, driving convenience, safety, and more. Being that all these different vehicle parts have each of their own functions and responsibilities, it is only natural to think that some will wear out and get tired faster than the others. I never actually knew what transmission fluid does, so thanks for this! Keeping the the engine lubricated and cool seems important. I’ll have to take better care of my car’s transmission now that I know all of this. Can you Drive with a Blown Head Gasket? 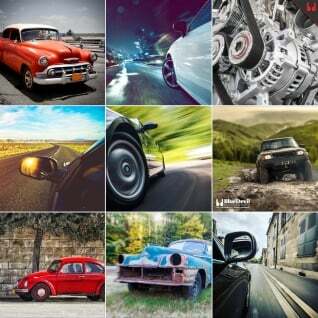 — Which are the Best Windshield Wipers?